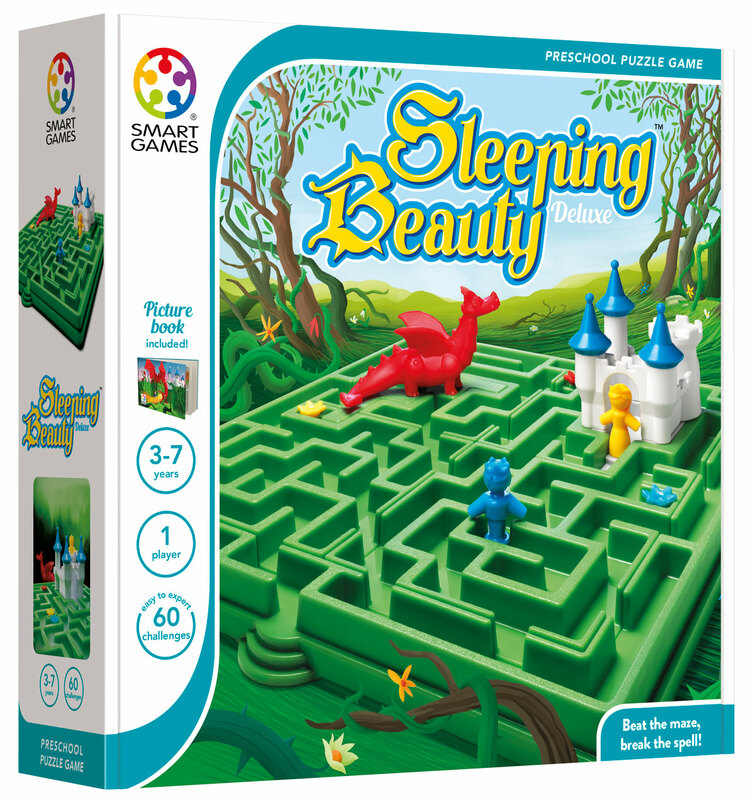 Help rescue Sleeping Beauty by navigating through the maze to the castle… or play as the dragon! 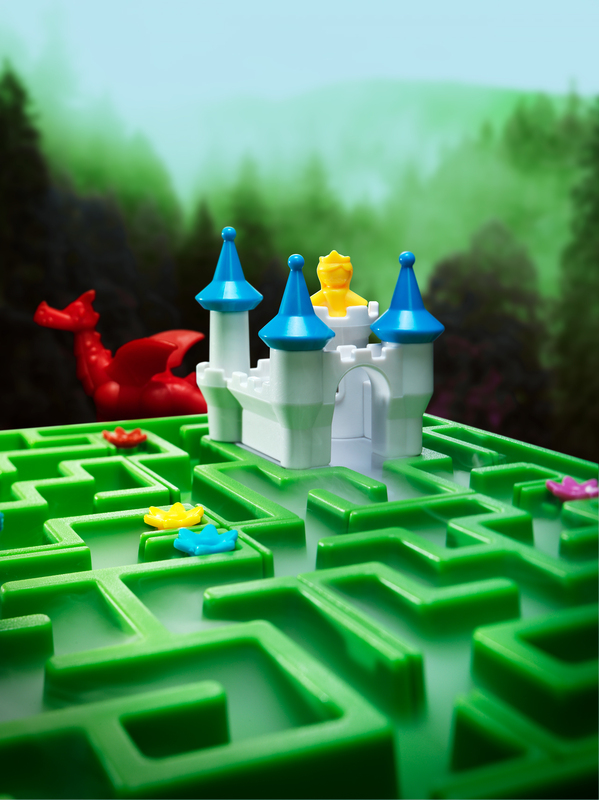 Place the 4 maze pieces inside the border of the game board as shown on the challenge, and solve the puzzle by finding the shortest pathway through the maze. 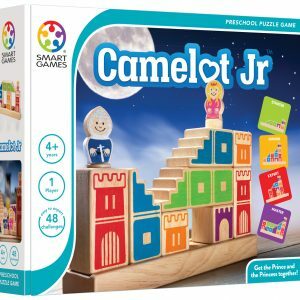 Includes 60 multi-level challenges (with and without the dragon) and an enchanting picture storybook. 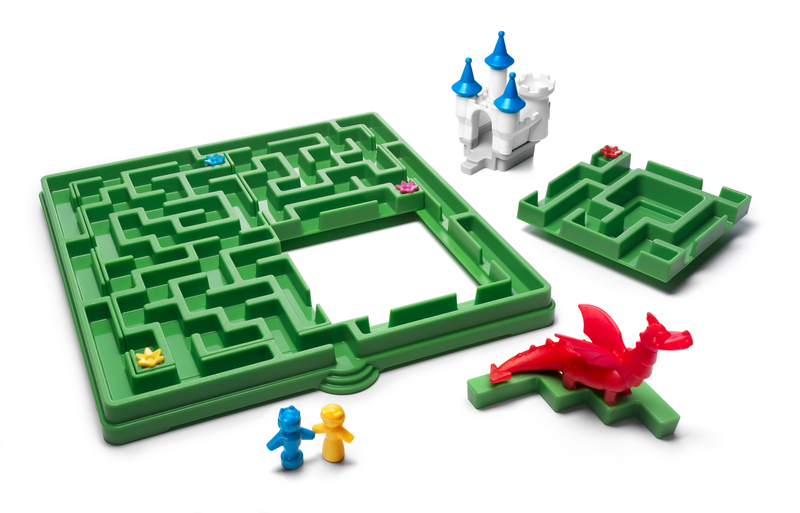 Challenges without the dragon are suitable for children 3+, and with the dragon are suitable for children 5+. 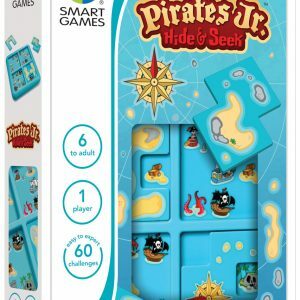 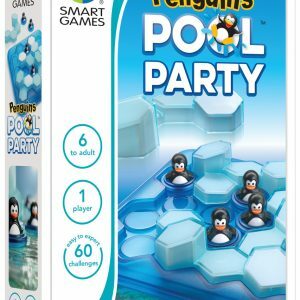 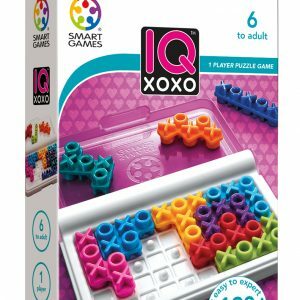 This visually stunning game will help stimulate Spatial Insight, Hand-Eye Coordination, Visual Perception, Problem Solving, and Planning skills.